Miele Professional Commercial Dishwashers offer exceptional solutions for bars & restaurants, care home kitchens, catering and estates. All Miele Freshwater Dishwashers and Tank Dishwashers deliver rapid cycles, convenience, and energy efficiency. Selected Dishwashers are WRAS approved. With baskets, for all locations with stringent hygiene requirements. For large amounts of crockery at home, the office and in small businesses. only 46 cm wide - the glassware specialist. only 46 cm wide with int. cleaning agent containers - the glassware specialist. 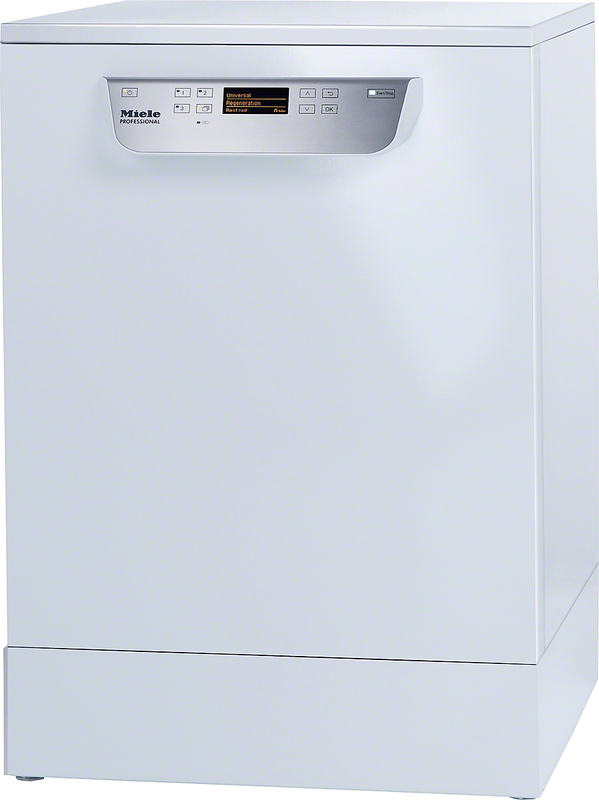 compact size - 60 cm bistro dishwasher with integr. cleaning agent containers. compact size - the 60 cm bistro dishwasher. with short cycles - can be combined with external dosing pumps. with short cycles for fast turnaround times - incl. integr. cleaning agent cont. with short cycles for fast turnaround times - for universal use. with short cycles - incl. integrated cleaning agent containers and softener. with short cycles for fast turnaround times - incl. integrated softener. with short cycles - the specialist for bulky items. With short cycles for large amounts of crockery - with integrated dispenser. With short cycles for large amounts of crockery - integrated water softener.